The OMG Moments Of Christmas (327/365 year 3) – Annoyingly Boring? 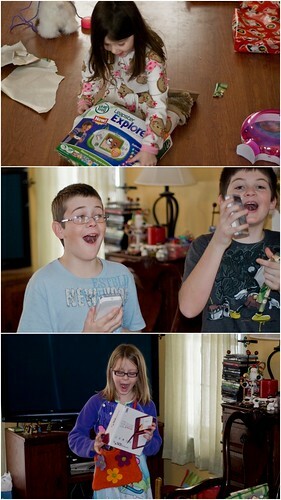 A Leapster Explorer, two iPod Touches, and a Nintendo DSi XL. What great photos, Pat! I love the looks on their faces–you captured them perfectly!